The colder months are the best time to wear hats. Fall and winter hats are designed to insulate heat in your head so that you can keep warm even if it is freezing outside. Another great thing about fall and winter hats is that they are very fashionable. As seasons change from warm to cold, it is important for you to get the right hat to provide you with the right protection against the draft and cool wind. Fall and winter hats are made from thicker materials that serve to provide proper insulation to the head. The materials used to make fall and winter hat include wool, fleece, cotton, faux fur, and many others not Any Season Hat. Aside from protecting the head from losing too much heat, fall and winter hats may also come with flaps to provide protection to the ears and the base of the neck. 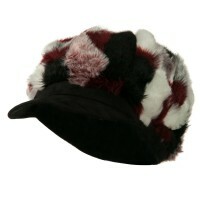 There are many styles and designs of fall and winter hats that are available today. Your options vary from a simple wool beanie to a trooper hat. Aside from trooper and beanie hats, you can also get styles like fedora hats, trapper hats, cowboy hats, and even headbands. As long as these hats are able to provide enough warmth on your head, then they can be considered as fall and winter hats. The winter season is the perfect time to wear hats as these accessories provide warmth to your head. They are also fashionable and they can complement your clothes. Browse through our collection of hats that you need to have in your wardrobe. They can come in different styles and designs from bowler hats, beanies, and fedora hats thus they can complement whatever fashion style you wear during the colder months. While fall and winter hats are necessary during the colder months, you also need to wear hats during the spring and summer season. Summer Hats are made from lightweight material so they can keep your head protected against the sun and rain. 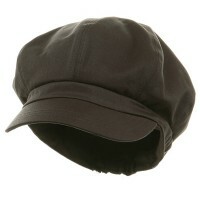 Spring and Summer Caps are also great for keeping your look updated so they are great accessories to match your outfit. 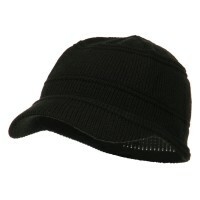 But if you are looking for hats that can be worn for all types of seasons, then the All Season Hats are for you. The All Season Hats are perfect for all types of season so it does not matter if you wear them for summer of winter, you still get the same protection from the hat.